"Bernard's coaching has provided me with an opportunity to put aside my work and reflect on myself as a person, something which I would not necessarily do on my own. Self reflection has been an important ingredient to my development as a leader within my organization." 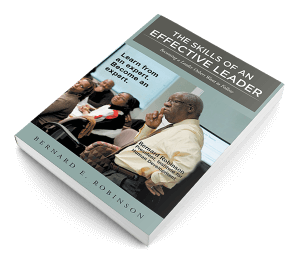 "The coaching support I've experienced with Bernard Robinson has been very valuable to my becoming a more effective Director and Leader. He's helped me take a much more strategic approach to managing a staff of forty and achieving key organizational objectives, while also valuing quality of life considerations at the same time. His thoughtful insights, questions and guidance have served to enlarge my leadership perspectives and toolkit and I feel I now have greater focus, clarity and purpose in my work." "You LISTEN before offering advice. After offering advice, you make sure it's on course with the problem/ issue at hand. You listen so well. When you listen, it is clear you absorb it as well. It feels great to feel heard. Then you help me with a structure, a game plan, which is simple and easy to follow. And you have a way of putting the responsibility to act/change on my shoulders. During our sessions, you make me feel like my situation is the most important thing in your world. I trust your judgment. You are honest and direct with me. Thank you for the thought and effort that you put into our sessions. I always come away from them with some new ideas and challenges. I was able to connect with you unlike the coach I was assigned to last year." "I want to thank you for all of your help and guidance in this critical stage of my personal and professional development. I could not have asked for a better coach and I hope that we can keep in touch as we both march along our individual paths to fruition." Our key aim and interest is working to help each leader execute performance-enhancing behaviors. As your coach, we seek to be and act as an honest broker by being an effective guide and coach and providing an unbiased, confidential sounding-board that allows you, as leaders, to examine your work world and “unlock” new ways of responding to and managing situations and people. 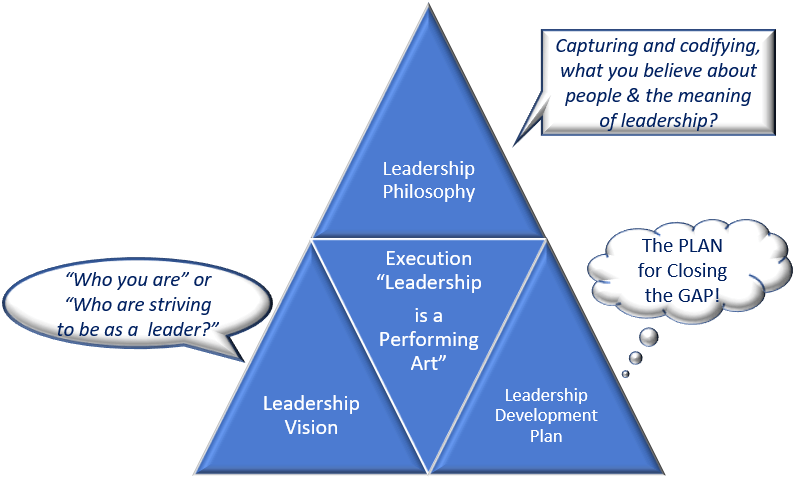 We enable the reimaging of your leadership practice. To this end, we engage clients in an honest assessment of their leadership capabilities (present state analysis) and provide feedback as well as prodding, pushing, guiding, and challenging to accelerate leadership potential via on-going learning. We help leaders create solutions that enhance the impact of their affect and quality of their effect as a leader. Our Performance Enhancement Coaching System (PECS)™ process and program is customized for each of our clients and seeks to help leaders achieve better results. The Institute has a track record of providing leaders with skilled guidance, insights, and personalized training to equip them to push through performance barriers. Define new action plans to extend and further the leader’s growth. Learning – We begin by attempting to learn and see the work and work world a leader lives in from his or her eyes. You’re the Leader, and The Institute is the Coach – We believe that the client plays the “in charge” role; while we will bring insights and guidance based on our leadership expertise and 30 plus years of experience in leadership coaching and while we will be very engaged as your “guide on the side,” you are the leader and must lead. As a coach, we seek to accelerate the process that we collectively agree fits and that will lead to strong personalized professional effectiveness. Expectation of Progress – At the end of the process, the leader will be equipped and feel empowered to stretch and grow their leadership effectiveness on a continuous and on-going process of development and growth. We at the Institute for Human Development are conscious of the need to listen and learn with and from our clients. Being open and responsive to the expertise that lives in both of us is essential. We try to use the knowledge gained and perspectives we share as the source for asking the best questions, giving good advice, and finding ways to foster a spiraling upward pathway. Collaboratively, we will determine the actions that will achieve the results that work best for you and your stakeholders. Vision – Every leader should have one. Trust – If followers don’t trust you, they will follow you with their head only. Integrity – We pride ourselves as an ethical coach, and our clients who practice of the “art of leadership” must be marked by integrity. Employee Engagement – Not only is there a connection between Organizational Improvement & Employee Engagement, but Employee Engagement is key to a leader’s success. Building Community – If employees have a feeling of fellowship with you, you with them, and with one another, living in the same space will make them feel valued as members of the living unit you are leading. Learning – This is a continuous and abiding principle. Knowledge and learning are key to personal and professional growth, and it is unending. 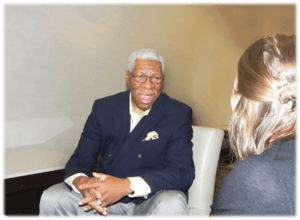 Dealing with Diversity Effectively – The culturally competent leader is one who knows him or herself and the impact of their person. They are more equipped to understand and manage the diversity that is our current, future, and forever reality. Decision-Making – Leaders who make good decisions get hired; those who make bad decisions will ultimately get fired.